Investcorp, a leading provider and manager of alternative investment products, today hosted a conference in Grand Hyatt Muscat to discuss investment opportunities that can support the sustainable growth of family businesses in the Gulf. 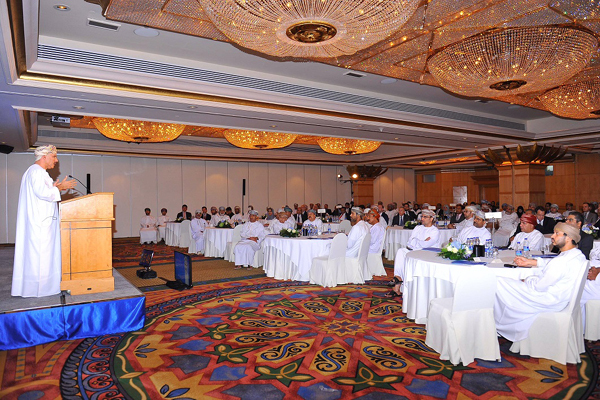 The conference, ‘Investing in Family Businesses in the Gulf’, was attended by over 100 guests. As well as investment professionals sharing their insights, the conference also saw a number of family business executives discuss their experiences of growing alongside a private equity partner. In his opening remarks, Investcorp’s executive chairman, Mohammed Al Ardhi gave an overview on Investcorp's history and its current growth plans. He also discussed how a strategic partner can bring not only capital but also industry and operational expertise to help accelerate the growth of a family business. Also speaking at the event were Mohammed Al-Shroogi, co-chief executive officer of Investcorp; Fahad Al Haqbani co-founder and chief executive officer of Fitness Time and Wassim Hammoude, Principal, Corporate Investment Mena at Investcorp.